Capt. John Drummond, Sr.-1 was born in 1635 in Accomack County, Virginia. He died on 10 Oct 1713 in Accomack County, Virginia. Patience Hill daughter of Capt. Richard Hill and Mary Drake was born in 1649 in Westmoreland County, Virginia. She died in Nov 1713 in Accomack County, Virginia. John Drummond was born about 1668. He died before 21 Mar 1688. Margaret Drummond was born about 1670. She died before 1751. Hill Drummond was born about 1672. She died before 04 Jun 1728. Robert Drummond was born about 1676. He died in 1718. Steven Drummond was born about 1678. He died before 05 Dec 1710. James Drummond was born about 1682. He died in 1715. Mary Drummond was born about 1674. She died after 21 Dec 1717. Drake Drummond was born about 1680. He died before 11 Jun 1720. Capt. Richard Drummond, Sr. was born in 1670 in Accomack County, Virginia. He died in Apr 1720 in Accomack County, Virginia. Capt. Richard Drummond, Sr.-2 (Capt. John-1) was born in 1670 in Accomack County, Virginia. He died in Apr 1720 in Accomack County, Virginia. Elizabeth Scarburgh daughter of Col Charles Scarburgh and Elizabeth Bennett was born in 1671 in Accomack, Virginia, USA. She died before 06 Apr 1700 in Accomack, Virginia, USA. Anne Tilney daughter of John Tilney and Anne Smith was born in 1650. She died in Jul 1736 in Accomack County, Virginia. Richard Drummond Jr. was born in 1692 in Accomack County, Virginia. He died on 04 Jul 1732 in Accomack County, Virginia. Richard Drummond Jr.-3 (Capt. Richard-2, Capt. John-1) was born in 1692 in Accomack County, Virginia. He died on 04 Jul 1732 in Accomack County, Virginia. Anne Hack was born in Jul 1696 in Accomack County, Virginia. She died in Nov 1770 in Worcester County, Maryland. Richard Drummond III was born about 1714. He died before 26 Mar 1751. Elizabeth Drummond was born about 1716. She died before 25 Jul 1769. Anne Drummond was born about 1720. William Drummond was born about 1721. He died before 27 Aug 1776. George Drummond was born on 11 Aug 1722. He died on 20 May 1766. Spencer Drummond was born in 1718 in Accomack County, Virginia. He died in May 1759 in Accomack County, Virginia. Spencer Drummond-4 (Richard-3, Capt. Richard-2, Capt. John-1) was born in 1718 in Accomack County, Virginia. He died in May 1759 in Accomack County, Virginia. Anne was born in 1725 in Accomack County, Virginia. She died in Dec 1774 in Accomack County, Virginia. William Drummond was born about 1744. He died before 31 Oct 1775. Richard Drummond was born in 1747. He died before 14 May 1795. Elizabeth 'Betty' Drummond was born about 1752. Esther Anne Drummond was born about 1754. Sarah Drummond was born about 1756. Elisha Drummond was born about 1759. Charles Drummond was born in 1755 in Accomack County, Virginia. He died before 29 Jul 1822 in Accomack County, Virginia. Charles Drummond-5 (Spencer-4, Richard-3, Capt. Richard-2, Capt. John-1) was born in 1755 in Accomack County, Virginia. He died before 29 Jul 1822 in Accomack County, Virginia. Comfort Drummond was born in 1756 in Accomack County, Virginia. She died in May 1823 in Accomack County, Virginia. Sarah Ann Drummond was born about 1785 in Accomack County, Virginia. Spencer Drummond was born about 1790. Noah Drummond was born about 1795. John C. Drummond was born about 1800. William H. Drummond was born in 1790 in Accomack County, Virginia. He died in 1860 in Accomack County, Virginia. William H. Drummond-6 (Charles-5, Spencer-4, Richard-3, Capt. Richard-2, Capt. John-1) was born in 1790 in Accomack County, Virginia. He died in 1860 in Accomack County, Virginia. Elizabeth was born in 1819 in Accomack County, Virginia. John T. Drummond was born in 1837. He died on 28 May 1924. Constantine Drummond Sr.[1, 2] was born in Jan 1838 in Accomack County, Virginia[1, 2]. He died on 09 Dec 1922 in Sanford, Virginia. Kosciuko Drummond was born in 1845. He died in 1915. Constantine Drummond Sr.-7 (William H.-6, Charles-5, Spencer-4, Richard-3, Capt. Richard-2, Capt. John-1)[1, 2] was born in Jan 1838 in Accomack County, Virginia[1, 2]. He died on 09 Dec 1922 in Sanford, Virginia. Susan Chesser daughter of John Fairfax Bayly and Polly Chesser was born in May 1840 in Accomack County, Virginia. She died on 09 Dec 1922 in Sanford, Virginia. Lewis W. Drummond was born in 1860. He died on 20 Sep 1912. Olivia F. Drummond was born in 1862. She died in 1942. Manie Drummond was born in 1876. Mattie Drummond was born in 1872. Carrie Lee Drummond was born in 1868. She died in Jul 1914. Capt. John Fairfax Drummond[4, 5, 6] was born on 24 Dec 1864 in Sanford, Accomack, Virginia, USA[4, 5]. He married Mary Jane Tapman on 10 Apr 1888 in Worcester County, Maryland. He died on 13 Nov 1936 in Chester, Pennsylvania. Constantine Drummond Jr. was born in 1877. He died on 14 Jan 1953. Capt. John Fairfax Drummond-8 (Constantine-7, William H.-6, Charles-5, Spencer-4, Richard-3, Capt. Richard-2, Capt. John-1)[4, 5, 6] was born on 24 Dec 1864 in Sanford, Accomack, Virginia, USA[4, 5]. He died on 13 Nov 1936 in Chester, Pennsylvania. Mary Jane Tapman was born in Aug 1864 in Accomack County, Virginia. She died about 1910 in Sanford, Accomack, Virginia, USA. Amanda L. Drummond was born in 1910 in Sanford, Accomack, Virginia, USA. She died on 10 Apr 1971 in Upper Chichester, Delaware, Pennsylvania, USA (Born on Marsh Market Road). Zidock Drummond was born on 23 Jan 1898 in Virginia, USA. He died on 05 Feb 1898 in Sanford, Accomack, Virginia, USA. Effie F. Drummond was born in Mar 1889 in Virginia, USA. She married Louis Edward Shaw on 04 Nov 1906. She died in 1944. Sadie Idell Drummond was born on 23 Aug 1892 in Accomack County, Virginia, USA. She died on 17 Jan 1936 in Chester, Delaware, Pennsylvania, USA. John W. Drummond was born on 05 Jul 1893 in Sanford, Accomack, Virginia, USA. He married Hazel Estelle Sterling on 21 Jun 1917 in Northampton County, Virginia, USA. Mary Elizabeth Drummond was born on 16 Jun 1894 in Sanford, Accomack, Virginia, USA. She died on 01 Feb 1969 in Salisbury, Wicomico, Maryland, USA ( ). Noah B. Drummond was born on 30 Aug 1902 in Virginia, USA. He died on 05 Oct 1984 in Chester, Delaware, Pennsylvania, USA. George Frank Drummond was born on 08 Mar 1905 in Sanford, Accomack, Virginia, USA. He died on 24 Mar 1954 in Delaware County, Pennsylvania, USA. Mary L. "Nora" Drummond was born in 1907 in Accomack County, Virginia. She married Alfred Curtis Taylor in 1930. She died on 27 May 1945 in Chester, Pennsylvania. Mary L. "Nora" Drummond-9 (Capt. John Fairfax-8, Constantine-7, William H.-6, Charles-5, Spencer-4, Richard-3, Capt. Richard-2, Capt. John-1) was born in 1907 in Accomack County, Virginia. She died on 27 May 1945 in Chester, Pennsylvania. Alfred Curtis Taylor son of James Alfred Taylor and Elizabeth Higgins was born on 26 Feb 1902 in Cape Charles, Virginia. He died in Nov 1978 in Chester, Pennsylvania. Catherine Ann Louise Taylor was born on 15 Aug 1925 in Saint Charles, Virginia. She married Paul Evans Sweeny on 12 Jan 1946. She died on 23 Jul 1977 in Aurora, Kane, Illinois. Joseph Hollis was born on 08 Mar 1899. He died on 29 Jan 1989 in Chester, Pennsylvania. 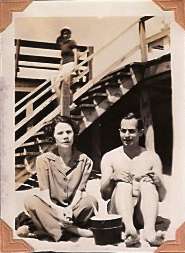 Joseph Hollis and Mary L. "Nora" Drummond were married in 1940 in Chester, Delaware, Pennsylvania.They had no children. Sadie Idell Drummond-9 (Capt. John Fairfax-8, Constantine-7, William H.-6, Charles-5, Spencer-4, Richard-3, Capt. Richard-2, Capt. John-1) was born on 23 Aug 1892 in Accomack County, Virginia, USA. She died on 17 Jan 1936 in Chester, Delaware, Pennsylvania, USA. Andrew W. Marshall was born on 13 Sep 1891 in Accomack County, Virginia, USA. He died on 27 Nov 1968. George Frank Drummond-9 (Capt. John Fairfax-8, Constantine-7, William H.-6, Charles-5, Spencer-4, Richard-3, Capt. Richard-2, Capt. John-1) was born on 08 Mar 1905 in Sanford, Accomack, Virginia, USA. He died on 24 Mar 1954 in Delaware County, Pennsylvania, USA. George F. Drummond was born on 12 Apr 1936. He died in Feb 1985 in Chester, Delaware, Pennsylvania, USA. John W. Drummond-9 (Capt. John Fairfax-8, Constantine-7, William H.-6, Charles-5, Spencer-4, Richard-3, Capt. Richard-2, Capt. John-1) was born on 05 Jul 1893 in Sanford, Accomack, Virginia, USA. Hazel Estelle Sterling was born on 25 Dec 1894 in Crisfield, Somerset, Maryland, USA. She died in Jan 1982 in Crisfield, Somerset, Maryland, USA. Elmer Drummond was born about 1913 in Maryland, USA. William Drummond was born in 1918 in Maryland, USA. Amanda L. Drummond-9 (Capt. John Fairfax-8, Constantine-7, William H.-6, Charles-5, Spencer-4, Richard-3, Capt. Richard-2, Capt. John-1) was born in 1910 in Sanford, Accomack, Virginia, USA. She died on 10 Apr 1971 in Upper Chichester, Delaware, Pennsylvania, USA (Born on Marsh Market Road). Andrew McCrudden was born in 1901. He died in 1989 in Chester, Delaware, Pennsylvania, USA. William Alfred Taylor-10 (Mary L. "Nora"-9, Capt. John Fairfax-8, Constantine-7, William H.-6, Charles-5, Spencer-4, Richard-3, Capt. Richard-2, Capt. John-1). Catherine Ann Louise Taylor-10 (Mary L. "Nora"-9, Capt. John Fairfax-8, Constantine-7, William H.-6, Charles-5, Spencer-4, Richard-3, Capt. Richard-2, Capt. John-1) was born on 15 Aug 1925 in Saint Charles, Virginia. She died on 23 Jul 1977 in Aurora, Kane, Illinois. Paul Evans Sweeny son of Charles Roe Sweeny III and Ella May Bouchelle was born on LIVING in Upland, Pennsylvania. Paul Evans Sweeny and Catherine Ann Louise Taylor were married on 12 Jan 1946. [S551] Barry W. Miles & Moody K. Miles, Accomack Co, VA, Marriage Records, 1854-1895 (Recorded in Licenses and Ministers' Returns). [S638] Family Tree Maker's Family Archives, 1850 Virginia Census Microfilm Records, CD#309. [S39] 1910 Accomack Co, VA, Census. [S360] Accomack News, 22 Dec 1922 issue. The Daily Times, Sailisbury, Md. 2 Feb 1969, Daughters Obituary. The Sunday Times, Salisbury, Md. 2 Feb 1969.